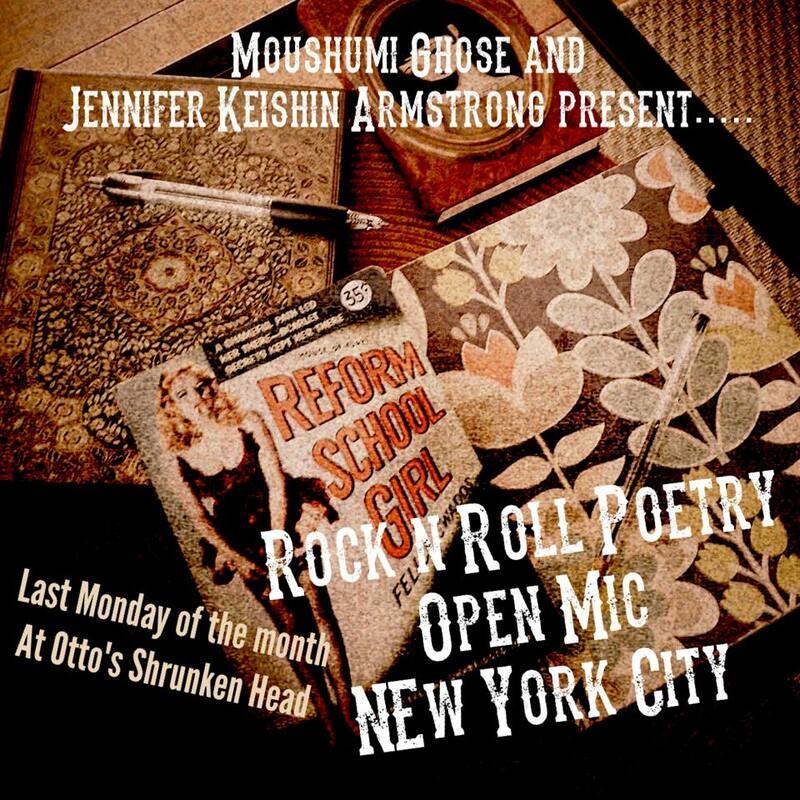 Our next Rock ‘n’ Roll Poetry open mic is at 7:30 p.m. on Monday, November 30, at Otto’s Shrunken Head in NYC’s East Village. Please join us to share some spoken-word or music, or just watch and listen. All levels and styles, covers and originals, welcome. JUST COME! It’s really fun and life-affirming and stuff. I’ll be doing some Fiona Apple, Madonna, and Britney, because I am me.